WE CAME. WE SAW. WE WOBBLED. That was Massive. We are STILL on cloud 9 after Wobbleland Dallas shook Deep Ellum to its core. Crushing the Bomb Factory and Canton Hall; Vital Events, Lights All Night and PRIME have found something special with Wobbleland Dallas. From the sets, to the crowd to the lasting memories, Wobbleland Dallas is Texas' newest bass obsession. Check out the unofficial recap video below. From the opening second, the event was packed. The line for the event stretched down Canton St. to Malcolm X Boulevard before doors even opened. When the doors opened the bass started wobbling and never stopped. From the openers to the headliners, each producer brought their "A" game. Riddim was the genre of choice for the night as each artist mixed banger after banger, breaking rails and necks. Luca Lush and Quix incorporated hard trap into the mix which absolutely destroyed the Bomb Factory's subs. Phiso dropped a wonky wobble set in Canton Hall to a packed venue. Rickyxsan pummeled the CDJ's and Monxx and Murda curated a once-in-a-lifetime set. Dirt Monkey even jumped down from the stage to the crowd to join the rail. 12th Planet did 12th Planet things with possibly the best bass face of the show. Rusko made his triumphant return to Dallas with a powerful and memorable set while Herobust and Feed Me capped the night off in true Wobbleland fashion. A festival's atmosphere is directly related to the feelings the crowd exudes and let me tell you, the crowd was FEELING IT. From front to back the crowd headbanged, raged and went wild for each drop, only stopping to group together and do it all over again. All the patrons had the same goals... to rage as hard as possible with newly found friends. The crowd was on that next level s**t the entire night. A truly successful festival creates memories that will last a lifetime. Just ask anyone who went to Middlelands, or has been to EDC or Ultra, the memories last forever. Wobbleland Dallas, in short, was just as memorable. The return of Rusko to the stage, the extremely rare B2B's and of course the lasers are only a small piece of the memories that will live on in PRIME's and all attendees' minds. What were your favorite parts about Wobbleland Dallas? Let us know in the comments! From all of us at PRIME, we want to thank all the attendees of Wobbleland Dallas for coming out and raging with us. You are the reason that we put all these events on and we could not be where we are without every single one of you. 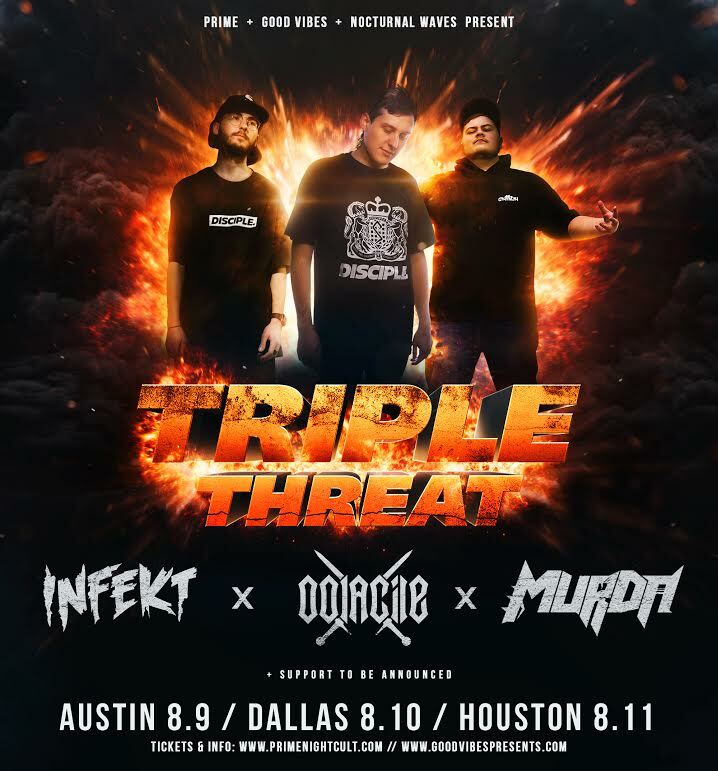 If you still haven't heard enough Riddim, PRIME, Good Vibes and Nocturnal Waves partnered up to bring back Infekt, Oolacile and Murda for a Triple Threat in August. Get your tickets now for the Austin, Dallas and Houston shows and we will be out there with neck braces for you. 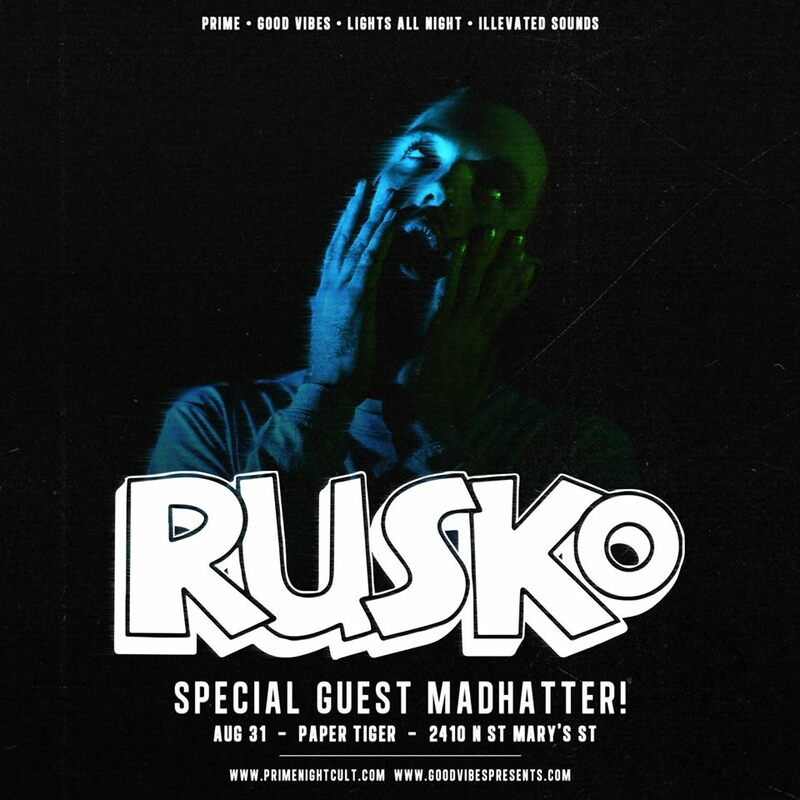 We also have the pleasure of bringing Rusko to the Paper Tiger in San Antonio on August 31st. Get your tickets now for this as this one will sell out! Stay tuned with PRIME for more shows coming your way soon.